Dental bonding can improve the overall appearance of your smile. Bonding is the application of a tooth-colored composite resin to the teeth to restore or improve a person's smile. With bonding, you have one of the fastest, easiest and most affordable dental treatments at your disposal. 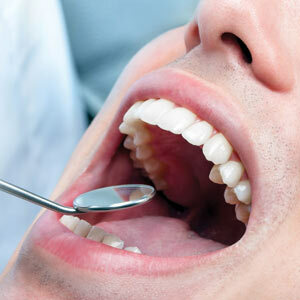 Morshed Dentistry, which is located in Santa Monica, CA, offers a full range of dental services. Dr. Mani Morshed, Dr. Noushin Morshed, and Dr. Bobak Morshed are some of the top dentists in Santa Monica, CA. Read on to learn more about dental bonding. Dental bonding can be used for a variety of tooth care needs. For example, it may be used to repair chipped teeth and cavities. 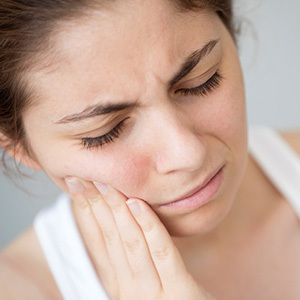 It may also be used to close gaps between teeth and fix teeth that have become discolored. Sometimes it's used to make teeth look longer or to change their shape, so that they appear more attractive. Dentists also use dental bonding to protect the exposed roots of teeth. Your dental care provider will use a shade guide to select a composite resin that matches the color of your tooth. The surface of the tooth is roughened and a conditioning liquid is applied. Then the bonding material is applied, molded, and smoothed to the desired shape on the tooth. Next, the composite resin is hardened with a special light. Finally, your dental care provider will trim, shape, and polish the bonded material to match the gloss of the rest of the tooth. Dental bonding can usually be done in just one visit. The procedure takes about 30-60 minutes to complete for each tooth. Very little enamel is removed during the procedure, which gives it an advantage over porcelain veneers and dental crowns. Additionally, bonding usually doesn't involve the use of anesthesia, except when it is used for repairing cavities. A dental consultation is a visit with your dental care provider where you can discuss your issues, concerns, and treatment options. During your dental consultation, your dental care provider will talk to you about the changes you would like to make to your smile. During the consultation, your dental care provider will conduct an examination of your gums and teeth that may involve dental x-rays. Ready for a brand new smile? Start your journey today! Call Morshed Dentistry at 310-393-9664 today to schedule a dental consultation in Santa Monica, CA. Dental bonding has helped many of our patients improve their smiles, boosting their self-esteem and changing their lives. And it can do the same for you!